Teletubbies Apps and Big Hugs! POP BALLOONS with the Teletubbies, TODAY! Have a play date with the Teletubbies, TODAY! Teletubbies Play Time allows toddlers to interact with the Teletubbies through playful activities that will engage and help develop their senses and motor skills, including talking. 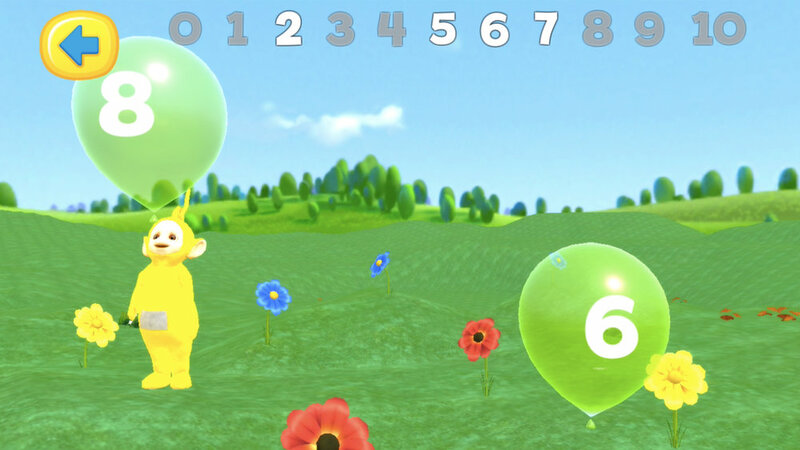 It is an app designed to help your little one speak, using practice and repetition in a fun and non-intrusive way. BIG HUGS and smiles abound with Teletubbies Play Time! • Developed and designed for children 5 years old and younger. • Practice motor skills by tapping and swiping in one of four directions. • When prompted, speak into your device’s built-in mic and watch the Teletubbies' reactions. • Play in the familiar locations from the much-loved TV show and interact with iconic characters. Subscribe to The Tubby Club and receive monthly content, including new scenes, game play features and more!